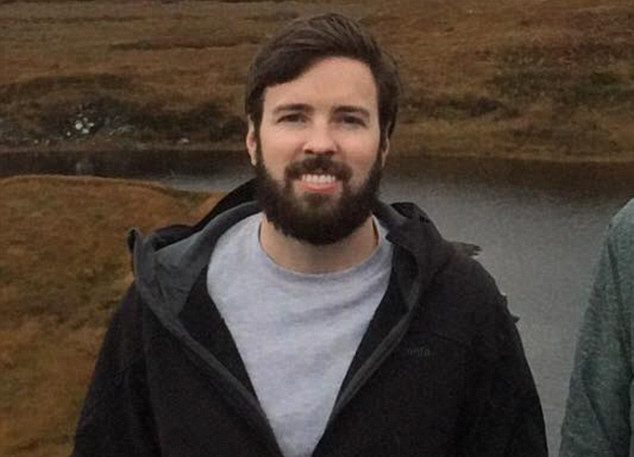 Taylor Force (pictured), a student at Vanderbilt University's Owen Graduate School of Management, was stabbed to death on Tuesday by a Palestinian terrorist on a knife rampage in Tel Aviv. (from an AP report at The Washington Post) JERUSALEM — Vice President Joe Biden on Wednesday criticized Palestinians for a “failure to condemn” a stabbing spree that killed an American student and war veteran the day before, after Palestinian President Mahmoud Abbas’ political party (Fatah) posted a statement online praising the stabber. The stabbing spree took place Tuesday near the seaside city of Jaffa, where Biden was meeting nearby with Israel’s former president. Biden said his wife and grandchildren were having dinner on the beach not far from the scene of the attack, which wounded a dozen Israelis, civilians and police officers. “This is the result so long as Israel does not believe in the two-state solution and ending its occupation,” the Fatah statement on Twitter read, referring to a future Palestinian state alongside Israel. In a joint press conference with Biden, Israeli Prime Minister Benjamin Netanyahu condemned Fatah’s glorification of the stabber. For more than five months, there has been a rash of Palestinian attacks on Israeli civilians and security forces. Palestinians say the violence stems from frustration at nearly five decades of Israeli rule over the West Bank and east Jerusalem. Israel says it is fueled by a campaign of Palestinian incitement compounded on social media sites that glorify and encourage attacks. 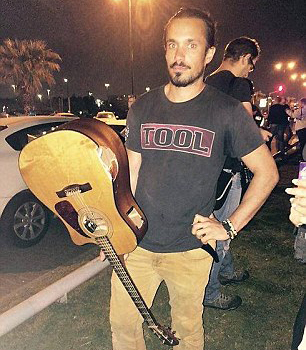 Yishai Montgomery smashed his guitar over the attacker’s head in an attempt to slow him down. The U.S. vice president spoke warmly of his decades-long relationship with Netanyahu, and reemphasized America’s commitment to Israel’s security. Biden is in Israel for a two-day visit as part of a regional tour of the Mideast. He is meeting both Israeli and Palestinian leaders. There were speculations he would try to revive the moribund Israeli-Palestinian peace talks, but Biden said, “I didn’t come with a plan. I just came to speak with a friend,” referring to Netanyahu. Palestinian Authority President Mahmoud Abbas (left) and Hamas leader Ismail Haniyeh (right). Abbas’ Fatah party posted a cartoon on its Twitter account of a hand holding a knife over a map of Israel and called the Palestinian stabber a “hero” and “martyr.” Hamas, a terrorist organization, also celebrated the attacks. Shortly before the two leaders met in Jerusalem Wednesday, …[a new attack occurred]. See “Background” below for a description of this week’s attacks. 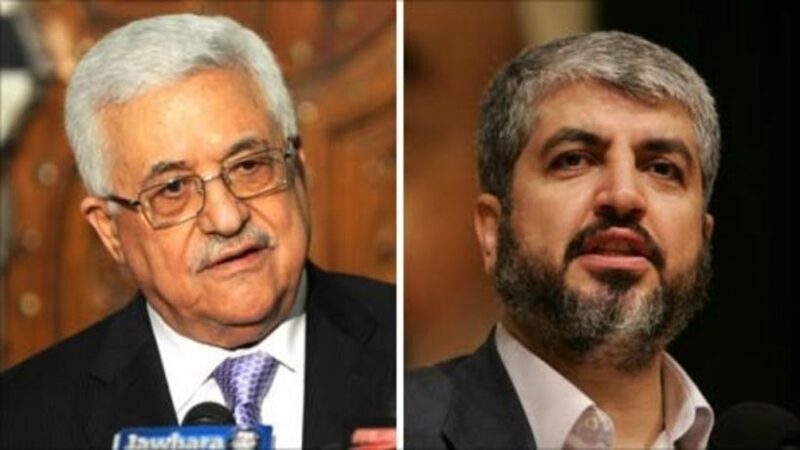 “Hamas congratulates the three heroic operations this evening, in Tel Aviv, Jerusalem, and Jaffa, and considers this proof of the failure for all these theories to abort the Intifada, which will continue until the realization of its goals,” Hamas spokesman Sami Abu Zuhri said. ..The wave of near-daily Palestinian assaults on Israeli civilians and security forces erupted in mid-September and is showing no sign of abating. The bloodshed — mainly stabbings but also shootings and car-ramming attacks — has killed 28 Israelis. During the same time, at least 179 Palestinians were killed by Israeli fire. Most of the Palestinians have been identified by Israel as attackers, while the rest were killed in clashes with security forces. Copyright 2016 The Associated Press at The Washington Post. Reprinted here for educational purposes only. May not be reproduced on other websites without permission from The Washington Post. For the original article, visit washingtonpost .com. 1. a) Who have Palestinian terrorists been attacking over the past 5 months? b) Where does the Israeli government place the blame for this latest string of murderous attacks? 2. Who was Taylor Force? 3. Describe the three separate terrorist attacks that occurred on Tuesday in Israel. How did the leaders of the two ruling political parties respond to these attacks? 5. a) What did Vice President Biden say in response to the attacks that took place very close to his separate meetings with Israeli and Palestinian leaders? b) Do you think this was the appropriate response? too strong? too weak? exactly what he should have said? Explain your answer. c) Why do you think Vice President Biden did not condemn the Palestinian leaders’ praise for the murderers? U.S. assistance to the Palestinians is given alongside assistance from other international donors, and U.S. policy makers routinely called for greater or more timely assistance from Arab governments in line with pledges those governments make. a) In response to the news report of these attacks on civilians, a Washington Post reader commented: “But we continue to give the Palestinian authority financial aid? How stupid is that?” Do you agree with this reaction? Explain your answer. Do you agree with this response? Explain your answer. c) A third reader commented: “Not condemning! – Abbas’s Fatah Party hailed the murder as a martyr. Too bad Biden (or Obama or Hillary or Kerry) doesn’t have the more courage to call out [Palestinian President] Abbas for encouraging these attacks….” Do you agree with this reaction? Explain your answer. On Monday, Palestinian stone-throwers attacked a tour group outside the Lions’ Gate on the eastern side of Jerusalem’s Old City. A 60-year-old woman suffered injuries to her head and was taken to a nearby hospital. On Tuesday, in the coastal city of Jaffa, a 21-year-old man from the West Bank Palestinian refugee camp in Qalqiliya went on a 20-minute stabbing spree, during which he killed Taylor Allen Force, a graduate student from Vanderbilt University. Force and his wife, who was also injured in the attack, were in Israel as tourists. Among the others wounded was a pregnant woman. The attacker was eventually chased down by police and shot dead. Around the same time on Tuesday, two Israeli Border Police officers were seriously injured, with one of them described as “critical,” in a drive-by shooting attack on Salah a-Din Street, near Jerusalem’s Damascus Gate. 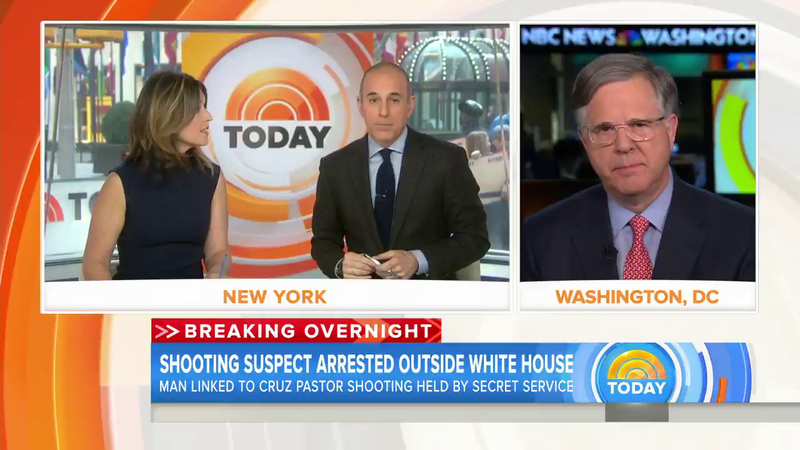 The gunman, riding a motorcycle, opened fire at the officers, striking one in the head. As he attempted to escape the scene, security forces engaged him in a firefight, during which he shot the second officer, police said. The shooter was killed. Earlier on Tuesday, a knife-wielding Palestinian terrorist followed an ultra-Orthodox Jewish man into a wine shop in the central town of Petah Tikvah and began stabbing him repeatedly in the upper body. The victim managed to break free and exit the store with the knife still stuck in his neck, only to return moments later, pull the knife out of his neck, and used it to stab and kill his attacker, aided by the store owner, police said.